We've partnered up with Sharegate, Nintex, and LiveTiles to run this year's Global SharePoint Survey, an industry study that provides valuable insight on the trends and growth across the global SharePoint and Office 365 markets. The survey officially kicked off on July 26 and will be open to entries until August 31. By participating in the survey, you not only contribute to the overall results, but also enter into the draw for the chance to win 1 of 3 $1500 USD Prizes. The findings of the survey will be shared back with you, (the community) to help inform your decisions around your own organization's SharePoint and Office 365 usage. How much has SharePoint usage changed in the last 12 months? This will be the third year in a row we've joined forces to deliver the survey, and are excited to share with you the results when they are in. We expect the responses from this year will show yet again how quickly the market can change, and a continued trend toward SharePoint’s most modern versions and experiences. We'll be finding out how many organizations are planning to deploy SharePoint 2019. In 2017, we saw a staggering 67% increase in deployments of SharePoint 2016, and an even more impressive 167% increase in SharePoint Online deployments. You can check out our blog that presented the productivity trends from last year's survey, plus dive into Sharegate's analysis of the comparative results of the past 2 years. Why are we back for another year? Each of the sponsors are proud members and contributors to the amazing SharePoint and Office 365 communities. The survey is one way that we are able to contribute and give back to the community. 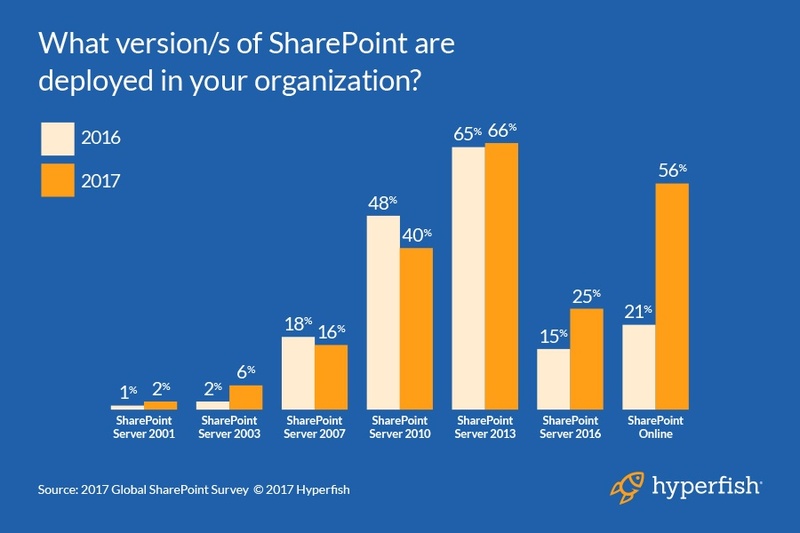 As the past two year's results have shown SharePoint and Office 365 is growing at a phenomenal rate, in 2017 55% more respondents had SharePoint deployed via Office 365 than in 2016. What's more, the pace at which Microsoft is delivering new Office 365 workloads, like Microsoft Teams, is unprecedented; making surveys like this even more valuable to keep up with the shifts and changes in adoption. On top of sharing these industry insights, each sponsor takes the results to understand how they can deliver greater value to their customers. Just like the evolution of the industry, the survey is updated to keep up. With the growing percentage of the market adopting cloud technologies, this year's survey will look into how organizations are tackling the new challenges such as controlling their Azure costs and governing their cloud infrastructure. We will also be finding out the adoption rate of the modern SharePoint experiences i.e. 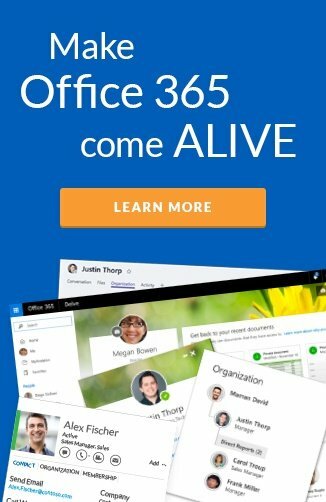 Modern Pages and Office 365 Groups. Not to mention, we'll find out the percentage of the market taking advantage of a latest within Office 365 including Teams and Power BI. The survey will take just 6 or so minutes of your time and individual responses remain confidential. Best of luck and thanks for being part of this year's survey!